6 Bedroom Detached House For Sale in Gerrards Cross for Offers in excess of £1,250,000. 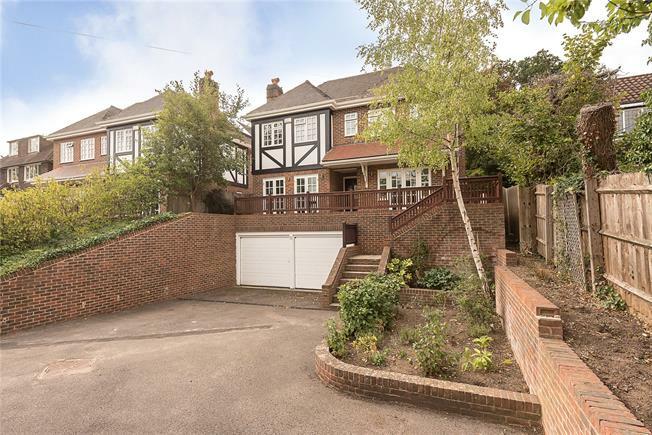 Splendidly situated in central Gerrards Cross lies this imposing 6 bedroom detached modern family home set over four floors with south westerly rear gardens. The property has been extensively renovated in recent months, offering contemporary living space & layout. NO ONWARD CHAIN. Well situated on the much sought after north side of central Gerrards Cross which provides excellent day to day shopping facilities including Waitrose, M&S Food Hall, Tesco & Sainsburys Local, Chiltern Line rail link to London Marylebone (fast services 18 minutes), community library, Everyman cinema, hotels and a variety of restaurants. The lovely wooded and green recreational spaces of East and West Commons are only a few hundred yards away. The national motorway network is accessed via the A413 and A40 at Junction 1 M40 (Denham) also linking to Heathrow and Gatwick airports. The property boasts generous parking to the front for several vehicles with steps leading to the front door. The 90ft south westerly aspect rear gardens are mostly laid to lawn with large patio terrace, planting of varying heights & mature trees.